The sign in Oakland County also lists a phone number and website for GainPeace, a Chicago nonprofit associated with the Islamic Circle of North America. The curious who follow through have the chance to earn a free copy of the Quran, the Muslim holy book, and learn more about the religion, which is the aim of the group’s campaign. The video shared online was considered anti-Islamic and sparked international outrage. Inaccurate depictions and beliefs about Muslims have persisted since the Sept. 11, 2001, terrorist attacks, Ahmed said. Countering that with education, he said, is essential not only for improving perceptions but fulfilling one of the Muslim faith’s goal of educating others. 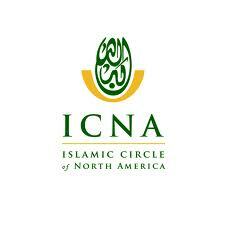 The Islamic Circle of North America (ICNA) is a part of the U.S. Muslim Brotherhood and considered to be closely tied to the Jamaat-e-Islami organization of Southeast Asia, itself allied with the Global Muslim Brotherhood. ICNA is particularly close to the Muslim American Society and the two organizations have been holding joint conferences in recent years. Our predecessor publication had first reported on the ICNA billboard campaign in 2008 and 2009.